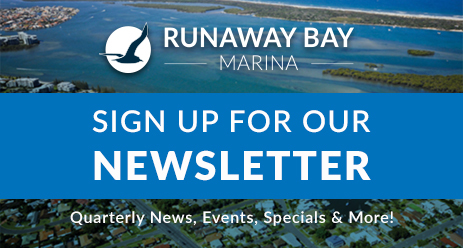 Runaway Bay Marina offers safe and secure storage options for your boat in the Gold Coast’s most enviable marina location – right on the Broadwater and just two nautical miles from the Seaway. What does this mean to you? You spend more time out on the water doing what you love, and less time trying to get there. One of our friendly and helpful team members would be happy to discuss our marina berths and other storage options with you. Call us on (07) 5577 1400 today or list your details here. Imagine being able to have your boat on the water and ready to go just by making one phone call, with as little as an hour’s notice. Our drystack storage aims to get you on the water more often – you can leave the trailer and the stress behind. It is an unfortunate fact that most people do not use their boat as much as they would like. The most common reason for this is it’s too difficult and time consuming getting the boat to a ramp and launching it. At the end of the day, there’s the retrieving it, cleaning it, and towing it back home again. It’s a process that makes it all too easy for boaties to say ‘No, not this weekend, maybe next week,’ with a sigh. Imagine being able to have your boat on the water and ready to go whenever you want, by just making a phone call, with as little as one hour of notice. That’s what we are all about here at Runaway Bay Marina. We are all boaties and we want to make it easy for people to get out and enjoy boating from our fantastic location on the beautiful Broadwater. The marina is 2nm from the Seaway entrance and minutes to all of the popular anchorages, fishing areas and beaches in the region. 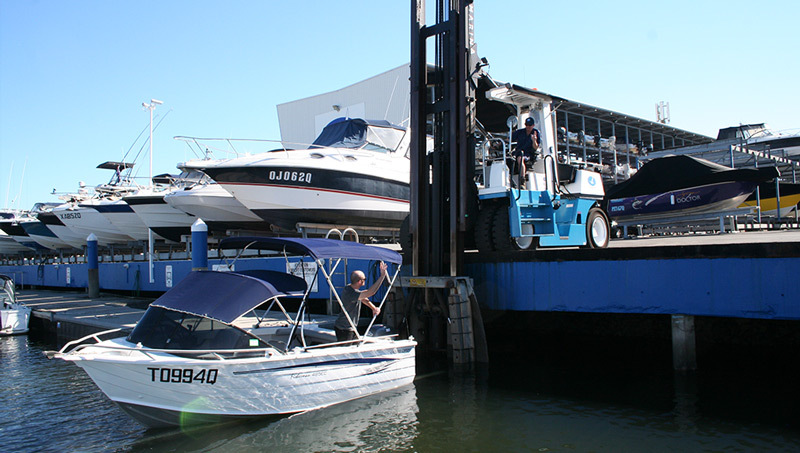 When you are done having fun on the water and return to the marina, our friendly and highly skilled operators will pick up your boat and put it on a wash bay where you can hose off and flush your engine. When you want to get going, let us know on your way out and we will put your boat away for you. If you don’t want to wash and flush your boat, you can arrange for one of the many service tenants at the marina to do it for you. 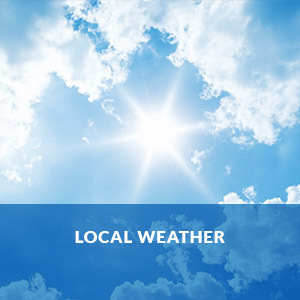 Make that trip to Straddie for a picnic, or a buzz down the Broadwater with the fishing gear, a more frequent reality. Contact our friendly and helpful team to discuss our dry storage options now, call (07) 5577 1400. How does the storage launch and retrieve process work? Contact us here. Security and peace of mind is something we all want for our pride and joy. With 24/7 CCTV cameras and onsite security guards your boat is safe and sound at Runaway Bay Marina. Runaway Bay Marina is the Gold Coast’s most enviable location for your boat, central to everything, both on the water and by land. Our marina berths are world class. Contact us today to see how we meet your needs. Save time and fuel by reaching your favourite destination without having to cruise down rivers at six knots. No sooner than you leave the marina you are opposite South Stradbroke Island and on the Broadwater. There’s no speed restrictions and the Seaway is just two nautical miles away. Berthing your boat is easy and convenient. 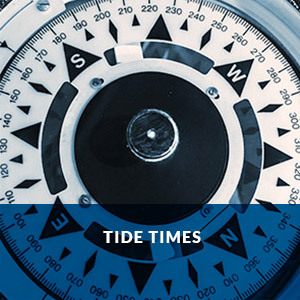 The basin is well protected from the wind and tide, and the premium first class marina allows plenty of room to manoeuvre. If you’d like a hand, just ask and we’ll happily grab a line for you. Staying onboard your boat for a night or two is allowed at no extra cost. 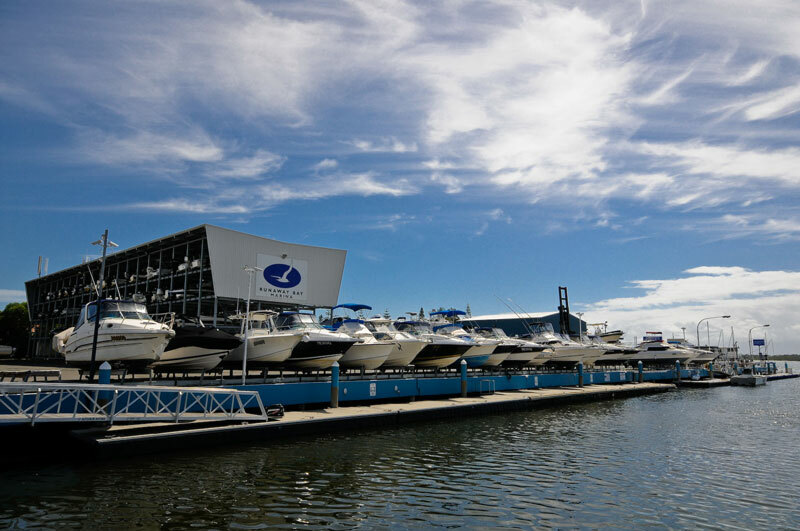 If the weather turns or you just want to get away from the hustle and bustle, come on in and stay in the protected and secure marina with plenty of dining options onsite and nearby. Parking your car doesn’t get any easier. The safe off-street car parks are right on the marina’s edge and are at no extra charge for berth holders. Plenty of dock trolleys are located on the boardwalk for your convenience in preparation for your voyage. Security and peace of mind is something we all want for our pride and joy. With 24/7 CCTV cameras and onsite security guards you do not have to worry about a thing at Runaway Bay Marina. Your own personalised access code will let you gain access to your marina berth and onshore amenities. 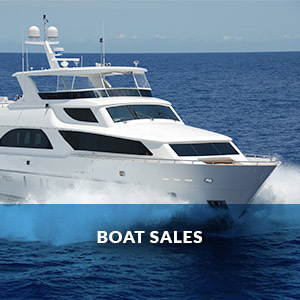 Whatever your boating needs are, you can get it at Runaway Bay Marina. We have fuel, bait, ice, tackle and local guides for your day out on the Broadwater. We have dine in and takeaway restaurants and a cafe for snacks and drinks throughout the day and in the evening. Repairs and servicing are a necessary part of boating and our onsite marine professionals make that easy for you. You don’t even have to come to the marina. Just call us and we will take your boat to a service area for you. We have outboard and inboard mechanics, marine electricians, covers and bimini repairs and replacement, antifoulers, detailers and cleaners. Located just two nautical miles from the Seaway entrance and within minutes to popular Broadwater destinations, experience the ease and convenience of storing your boat and trailer in Runaway Bay Marina’s secure storage facility. Avoid all the problems of a public boat ramp, such as limited car and trailer parking and the inevitable boat ramp queue. Ideal for yachts, our secure and spacious storage area allows you to store your trailer sailer without having to lower and raise the mast each time you want to go sailing. An added bonus is use of the courtesy dock to load and unload your gear and passengers safely and securely. There is also a wash-down area right at the boat ramp to hose down and flush your engine at the end of the day. With 24/7 CCTV and security guards, your pride and joy will be kept safe and sound when not in use. At times when you are using your boat on consecutive days or more regularly during holidays, see the friendly staff at the marina office for the use of a marina berth for a nominal fee. Rules and Regulations – there has to be some for the benefit of all our users on site and they do need to be changed now and then.